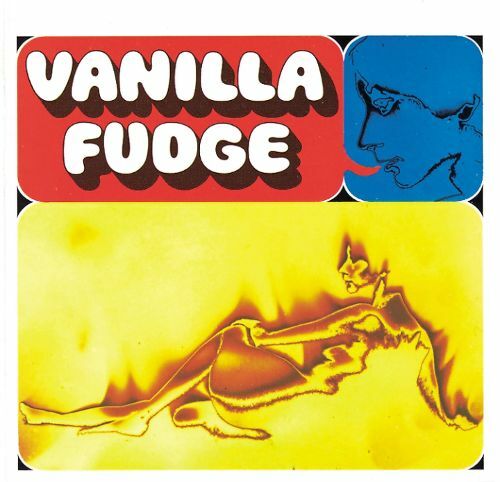 Vanilla Fudge. Ozzy. Beck, Bogert & Appice. Rod Stewart. Cactus. Ted Nugent. Blue Murder. KBG. King Kobra. Dean Parrish. The list goes on. 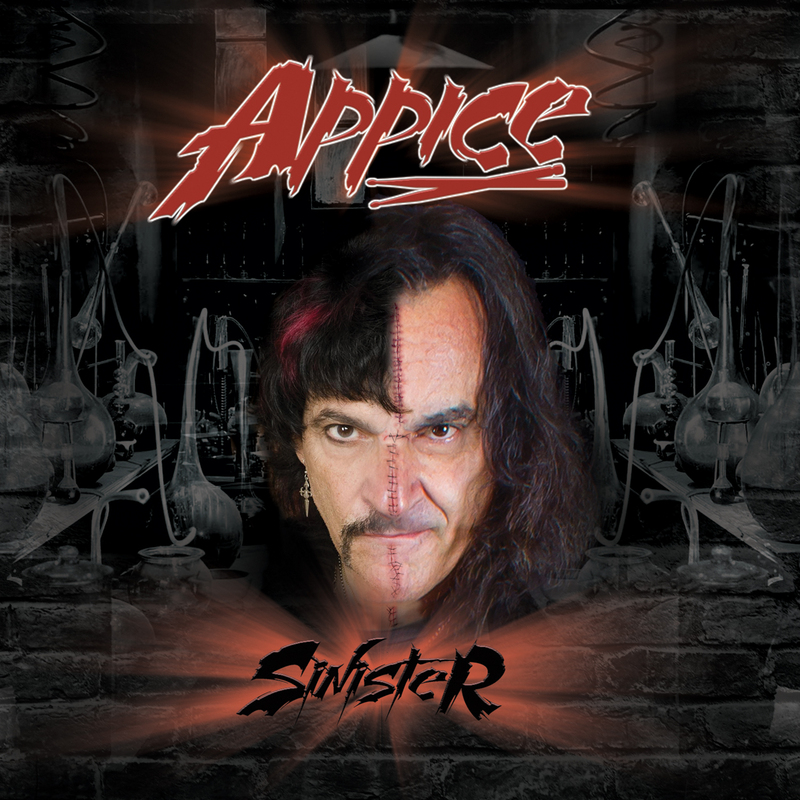 There is not a working Rock/Metal drummer alive who has done more than Carmine Appice. 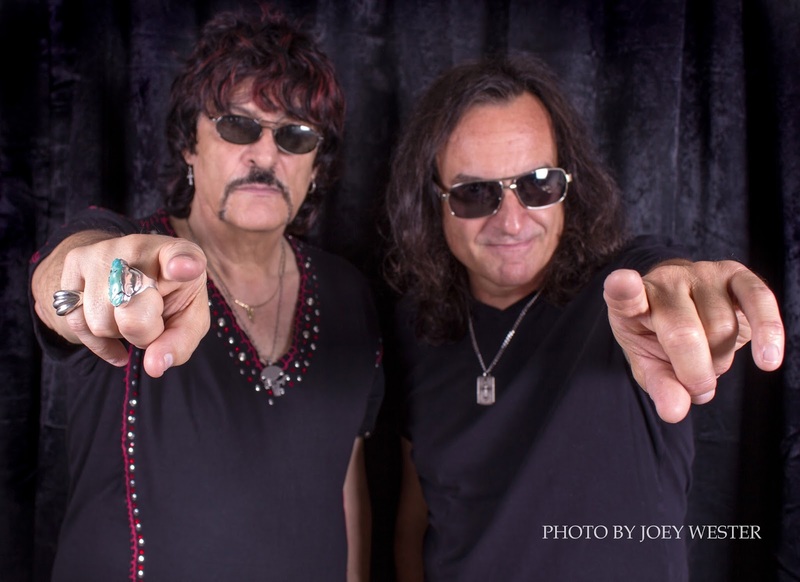 Fifty years after scoring his first hit with Vanilla Fudge, the 70-year-old timekeeper will begin a new chapter in his celebrated career this Friday with the release of Sinister (Steamhammer/SPV), his first-ever studio album with his younger (by 11 years) brother and fellow drumming legend, Vinny (Black Sabbath/Dio/Heaven & Hell/Last In Line/Kill Devil Hill/ World War III/Rick Derringer/Resurrection Kings). I had the great pleasure of discussing Sinister and a variety of other notable events in Carmine’s remarkable 50 years in music in the following interview. Obviously, you and Vinny have each had long careers in this industry, and you’ve done the Drum Wars thing together for a while now. Why was now the right time to come together in the studio and do a full-length album together? There was no real plan. We hooked up with this management company last year, and they were going to book some gigs and everything. The manager said, ‘Look, I think it’s a really good idea if maybe we do an album. It’ll come out and give us something more to talk about, it would be easier to book [you] and maybe get some better shows and get on to other shows with other people.’ I said, ‘Okay, how do we do it?’ He said, ‘We can do a PledgeMusic campaign and then do a record deal.’ He manages Anvil, and they just did that same thing. About a year ago, we started doing the PledgeMusic campaign. By the end of January, we had raised all the money that we wanted, plus more, to start doing the record. We needed to get a record deal, so we used the song ‘Monsters And Heroes’ as a demo. I had that originally recorded with King Kobra and I played it last year at the Sweden Rock Festival and the audience loved it. 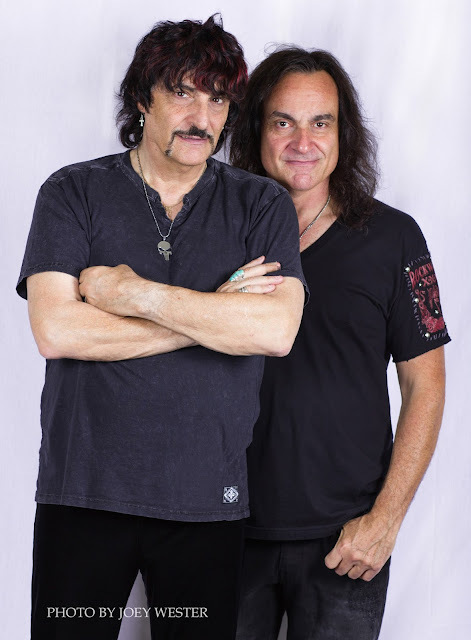 I thought it would be a great song for us because of the connection to Ronnie James Dio with Paul [Shortino], Vinny and me. So we used that song as the demo, and that got us a deal with SPV. The next think we know, we had a record deal and we had a Pledge deal. It wasn’t really planned, like, ‘In 2017, we’re going to make a record.’ It just happened. The musicians you brought in for the album are a great cross-section of people who have worked with the two of you individually over the years. You each obviously had a huge well to draw from in that respect. What was the level of difficulty, if any, in selecting the musicians who appear on the record? We just did it as it came. Because Paul was on ‘Monsters And Heroes’ and I worked with him [in] King Kobra, I knew Paul was a great singer and songwriter. I knew we were going to need somebody like that. Jim Crean’s been working with us over the last few years as a singer, and I know he was a fairly good singer and songwriter. Vinny worked with Chas and Craig Goldy; I worked with Tony Franklin and hung out with Jorgen from Gov’t Mule, who brought in T-Bone [Andersson, Steelheart] to play some gigs with us as Drum Wars. I had just finished doing something with Bumblefoot, so that’s how he came into it. Through Paul Shortino, there was a Robin McAuley connection because Paul worked with him in Vegas in Raiding the Rock Vault. I thought Robin would be a great singer for ‘Riot.’ I called him and asked him. We’re friends; as a matter of fact, his wife made me some stage clothes. He said he would do it, but he wasn’t sure about the song. I asked Paul to help me rein him in. Paul worked with him in Paul’s studio in Vegas, and they did the vocal there. He did a great job. I always try to involve Tony Franklin as much as I can use him, because he’s my favorite bass player. When we needed bass on some of the tracks, we got Tony. When we needed bass on some of the other tracks, we got Jorgen. As a matter of fact, we recorded with Jorgen at his studio in LA in the Valley. That’s where the started the record. We had a basic band of me, Vinny and the Okai Sisters – Mayuko and Tsuzumi. They were really good, so we said, ‘We’re going to put down five or six songs with them at Jorgen’s studio to get the ball rolling. From those five or six tracks, we can take them off and put somebody else on or take one of them off and put somebody else on.’ On ‘In The Night,’ we left Tsuzumi, the bass player sister, on and put Bumblefoot on. On my song that I wrote and sang, ‘You Got Me Running,’ we took the bass player sister off and put Tony Franklin on. We left the rhythm guitar part, but we put T-Bone Andersson on the leads. On ‘Riot,’ we took both sisters off and we put Jorgen and T-Bone on. But we needed a place to start where we went in sort of as a band and played some of the songs as a band, and that’s what we did. I’m a drummer myself, and I’ve had opportunities over the years to do drum duets with different players. I’m familiar with the back-and-forth, push-and-push nature of that, where I sometimes need to determine when to bring more of my side to the scenario and when to sit back and let the other drummer take the lead. How do you describe the general way you and Vinny approach drum dueting, both live and in the studio? A little different on all ends. Take the song ‘Sinister,’ which was a SLAMM!! song; I had a drum show called SLAMM!! I took the song and revamped and re-edited for what I do now with Vinny. Then we put vocals on it, but the drums you’re hearing are basically SLAMM!! drum parts. We both start with the 6/8 tribal thing, then when the first verse happens, Vinny is just going BA-BUM BA-DUM…SHOOKA DA-DUM BA-BUM, and I’ve playing the tribal thing. In the second verse, I’m doing the BA-BUM and Vinny’s playing the tribal thing. Then when we both go uptempo, I’m playing like a snare shuffle while Vinny’s playing his whole kit. I’m playing a simplified bass drum part so it wouldn’t get in the way and works well with his bass drum part. So that’s how we had to look at things. On ‘Monsters And Heroes,’ I already had the drum part down, and he listened and worked with me on it. All the other songs were pretty much done on the fly. On the song ‘Killing Floor,’ I put the original drums down and told Vinny, ‘If you follow what I do, I left spaces open for you to do fills where I didn’t do them.’ There were little pieces in that song; there’s a bar of 5/8, a bar of 6/8. It was real tricky. So basically, he went in and doubled what I did, and the backbeat was so big. And then when we went up and did fills back and forth, there’s one section where I played quarter notes and he started playing on the and. We’ve been doing this stuff live with Drum Wars. Sometimes I’ll start a fill and he’ll finish, and sometimes he’ll start a fill and I’ll finish it. There’s a lot of that interplay. I think the only songs we were actually in the same room for were ‘Sinister,’ ‘War Cry’ and ‘Suddenly.’ All the other ones were done by internet. I would do something first and send it to him, and then he would send something back to me. ‘Suddenly’ was a different approach. Normally, when we play together, I’m on the right and he’s on the left. On this song, we thought we’d experiment and have Vinny play the intro, I would play the verse and chorus, Vinny would play the re-intro and do licks [on the] rest of the chorus, I would do the bridge and then he would do the next part of the bridge. We alternated. My drum sound is analog, and his drum sound is digital. So it sounds a little different. When we did that song, it came to us through a guitar player who had a really cool drum machine groove on there. Before Paul Shortino put vocals on it to actually make it a song, we edited it to make it a better strong structure. We both agreed we were going to just play that drum machine part because it was so cool. So I did my part and I sent it to Vinny in California; I was doing mine in Jersey. He sends it back, and he’s playing all over the place! I said, ‘Dude, what happened to the drum machine part?’ He said, ‘Well, it got boring, so I just thought I’d play a little more.’ I said, ‘Well, now I’ve gotta do my part over because I sound like a boring drummer compared to what you’re doing!’ So I re-did my part to sort of come up to the level of energy that Vinny had. It was really interesting doing it; I never really did an album with another drummer. The other drummer being my brother, where we think alike, made it a lot easier. On the subject of drumming, Buddy Rich would have been 100 this year. What impact did Buddy’s work have on your life and career? A total impact. Krupa and Rich was the very first album I bought. When I do interviews, people go, ‘What was your first album?’ They expect me to say The Beatles or Led Zeppelin. I say, ‘Gene Krupa and Buddy Rich,’ and they’re flabbergasted. Some of them don’t even know who they are! But those are my two main idols, then it branched out to Max Roach and Joe Morello. Those are my main guys. I got to meet Buddy and be friends with him. He did one of my Drum-Offs. I started the Guitar Center Drum-Off that’s been going, and I did the first five years of it. It was the Carmine Appice Drum-Off, and they’re still using everything [else] the same. Buddy was the judge of one of mine, and we became friends. He was just amazing; he was just a freak! Gene Krupa was amazing, too, but Gene Krupa was different. Gene Krupa brought the drums to everyone’s attention. As a drummer, he brought the drums up front where the drums became the focal point of the show; nobody ever did that before him. I’ve always tried to do that in my whole career. Oh my God! You’re kidding! What is it about the era of Soul music that the EP explored that resonates so strongly for you? Well, that’s what I grew up on. I played songs like that all through my life. When I was in high school, I was like 16 years old and I used my older brother’s draft card to play in the clubs. I played all R&B. We had a horn band with Dean. When me and Dean started screwing around [for the EP], we had that first song called ‘Love’s Whatcha Cooking.’ He said, ‘Can you play drums on this so maybe we can re-write some of the parts?’ We did, I had a ball and it came out great. Dean was always a great singer. As a matter of fact, there’s a version of ‘I’m On My Way’ without the vocals that was on a milk commercial for six months in England from that EP. There’s really been no sales on that product at all. Literally, we’ve been getting quarterly statements for like two dollars! (laughs) But I love it. We co-wrote the song ‘Lonely’ in the studio, putting some of my vocals in. I wrote the bridge with him, and the background vocals and stuff. It was a lot of fun; I enjoyed it. We got such a ridiculously low deal on it; they didn’t even release it as a vinyl or even on a CD; it was just digitally. How did you find out about it? It was actually sent to me as a promo. I love the hell out of that record. Yeah, me too! The only reason why now it’s recouped and makes money is because of that commercial. 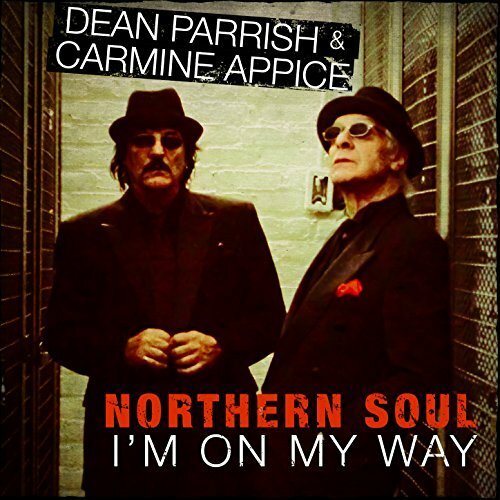 ‘I’m On My Way’ was a big hit for Dean back in the day. We re-did the whole thing, and that made money. I’ve always considered “Be My Baby” the greatest Pop song ever written, and of course Hal Blaine’s original intro is something else. For you, what made that song a perfect tune to take on for that record? I used to see Ronnie Spector and The Ronettes at the Brooklyn Paramount. I loved The Ronettes, and I loved her voice and vibrato. I copied her vibrato when I was a kid and started singing in Doo-wop things in Brooklyn. That was one of the first songs I ever sang to lean the vibrato, and I thought it would be a good idea to do it [on the album]. When I did it, I had a killer drum sound via [producer] Richie Podolor, who did [Sandy Nelson’s] ‘Teen Beat’ and ‘Let There Be Drums’ and the Three Dog Night and Steppenwolf stuff. We got a great drum sound, and I had [Rod Stewart band members] Danny Johnson [guitar] and Jay Davis [bass] to play with me. It was a great track. I did all the lead vocals; when it came to the background vocals, I wanted to do something different. That effect on the background vocals isn’t an effect – it’s actually me singing the BE-E- M-A-A-A- BE –MA MA- BA-BY done in harmony and doubles. It was such a cool effect; I said, ‘Wow! That is so cool.’ A lot of people didn’t expect that out of me after being with Beck, Bogert & Appice and Rod Stewart and Cactus. It was really a different direction; the whole album was, really. There were drums on it, but it wasn’t like Progressive drums – it was real Poppy. I tried to make the drums on that whole record very ‘Teen Beat’ and ‘Let There Be Drums’ to maybe grab a hit drum single of it. It’s a fantastic cover, so hat’s off. Thank you! I’m a believer that if you’re going to be a song, don’t do it exactly the same. Even more fascinating is that everyone is still alive! Even though [former bassist] Tim [Bogert] ain’t working with us, he’s still alive. That’s unbelievable. Absolutely! What makes the combination of you, [vocalist/keyboardist] Mark [Stein] and [guitarist] Vince [Martell] so special to where you’re still enjoying an active career all these years later? It’s really all based off that first – not the second, that’s for sure – third and fourth albums. That’s what’s kept the band alive all these years, really – especially the first album. It was such a mindblower at the time. Everyone who heard “You Keep Me Hangin’ On’ and ‘Eleanor Rigby’ and all those covers was like, ‘Oh my God! I’ve never heard covers like this,’ because they weren’t covers – they were taken apart and put back together. We did a great album [in 2015], Spirit of ’67, but really nobody heard it. The arrangement we did on ‘Break On Through,’ ‘The Letter’ and a bunch of those songs were as good - if not better - than anything we did back in the early days. But there are no outlets for it anymore. It never got the exposure because there’s no radio anymore. Our version of The Monkees’ song ’I’m A Believer’ got quite a bit of exposure on Underground Garage; Little Steven really loved it. That maybe gave us some of the exposure we got, but it’s not like the old days when we’d released records, get played on radio all around the country and sell hundreds of thousands of records. If we sold 10,000 records worldwide, we’d be lucky. That’s across the board for everybody, regardless of where they are in their careers. Certain guys might sell more. My brother did Last In Line, and they sold 20,000 records worldwide. That’s considered great, and they’re having a good career going now because of that. I sold 12,000 King Kobra records off two records around the world, and that revitalized the band, but record sales aren’t record sales anymore. You’ve had a 50-year career in one of the hardest industries in the world. For you, what has been the key to keeping the ball in the air all this time? Just keeping the ball in the air! (laughs) That’s exactly it. Always trying to come up with new ideas and trying to facilitate them. When we broke Vanilla Fudge up, we did it because [Tim Bogert and I] had Cactus in mind. The reason why Cactus broke up was we went to Beck, Bogert & Appice. When BBA broke up, I didn’t have anything in mind, but I kept going. I had KGB, and then I joined Rod Stewart. I was always looking, always had goals and always tried to re-invent myself. In the ’80s, I came up with all these different ideas – the King Kobra thing, the Drum-Off and clinics. I did clinics before they were more popular. I made them more like show than just a clinic. I did the drum book [1972’s Realistic Rock]…I made a whole other industry out of the education part of my career. It helped create Rock people doing clinics around the world. I was lucky; I came up at a time when things were new and coming up with new ideas was easy. I did [the project] Guitar Zeus in the ’90s because, as a drummer, it was hard to get a second solo deal. I thought maybe it I did a guitar album, it would be easier. Guitar Zeus was like a solo album, and I brought in all these great guitar players. I sold 200,000 records around the world. That was a new thing – a drummer doing a guitar album. In 2007, I did the SLAMM!! show – a drum show like STOMP. Then, doing the thing with my brother was a whole new idea as well. I keep coming up with new ideas to stay in the business and make a living out of it. Look, I never got as big as Phil Collins, but I’m still doing it and am physically able to do it. I’m still having fun doing it; right now, I’m having a great life at it. Even though I’m not playing arenas…I look at people who moan about going on the road and are playing arenas and everything is first class. They should go on the road where we’re playing 500-seaters and sometimes you’re in a tour bus and sometimes you’re not. But I’m having a good time.